Run frozen acai packet under hot water for 10 seconds to barely thaw it. Then toss it in the blender with half the banana and ½ cup liquid—juice tastes best but you can use anything! Then pour into a bowl and top with remaining banana (cut into coins) and some granola for texture. The secret ingredient for a successful acai bowl? Use a favorite bowl and spoon! Eating an acai bowl isn’t just a meal, it’s an event! 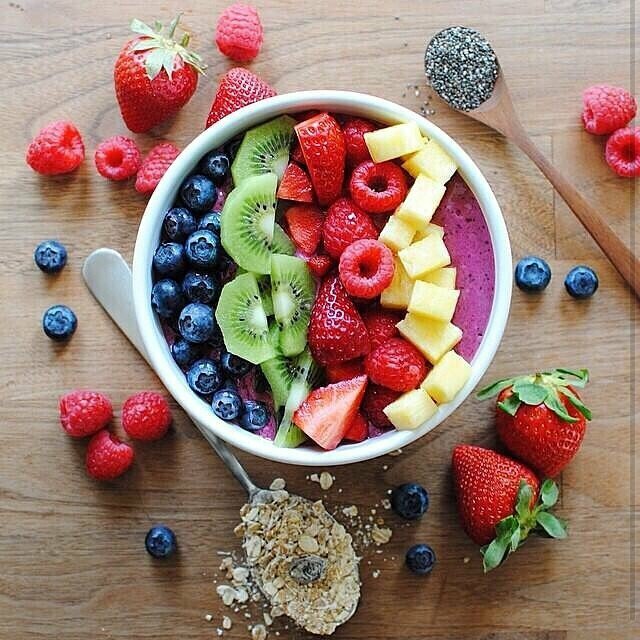 You need a bowl and spoon you love to maximize your acai experience!! Acai bowls are delicious at home or on the beach. Enjoy!